Well, as this book is already out I was able to read a sample on Amazon and it sounded a fun, intriguing read. I love romance but sometimes the stories feel very similar so something with an edge, a bit different is welcome and this covers mental health issues so fitted that brief. I’ve mixed feeling about the book though. The mental health aspect was handled very sensitively, I don’t know anyone with Grayson’s issues so can’t say how realistic it was portrayed, but it certainly felt very real, and I understood Grayson fears and reactions. How scary too if someone else holds control of you – I can see the need, but also the potential for abuse…The actual story – well, I kept thinking re Angie’s actions “ who would do that/behave like that?” I can’t imagine anyone doing what she did, but then for the sake of fiction I accepted it as fact and took the story from there. I found it an enjoyable read, the behaviour of her sort of boyfriend Mark sadly very real, her teen sisters actions genuine, teens think they know it all and everyone is stopping them from doing what they really need to do – I’ve been a teen Winking smile I remember that feeling! Then there’s the nursing hours issues, the family problems with her mum’s health issues causing financial difficulties, and of course the struggle to balance studying with work to pay for it…they are problems that are universal across countries. So Angie, a great girl, and I had respect for her way of supporting her family and working so hard for what she wanted, a good education and a chance of a decent career. When she meets Charles she sums him up instantly, and like her I found him arrogant and a creepy jerk. Then there’s her sister Anna, a teen who loves her family but is feeling restricted. 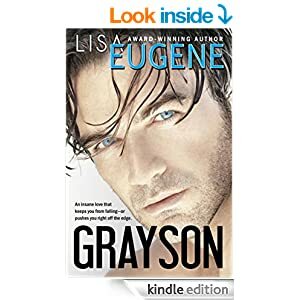 Grayson – the other lead. I loved the sexual tension between him and Angie, but felt things progressed far too quickly. Its a shortish read though and I guess that’s why it went this way. Another 75-100 or so pages though to allow for a slower, more natural build up would have made this a five star read for me, its a great book, but I felt the way their first meetings went was just awkward, didn’t feel genuine – who gives someone a naked pic as an apology??? and that spoiled the book for me. It’s well written though, and flows naturally, made me smile when she calls him crazy, and then has a moment of horror when she realises that – well – he IS crazy…oops. I’m an amputee and of course there are sayings like break your legs, don’t run away, put your foot down, that I’ve heard very often and have caused whoever is saying it a moment of embarrassment – no need, its natural and it makes me laugh!! Though I’d guessed some of what was going to happen I hadn’t worked out how Lisa was going to get the characters where they needed to be. A neat short epilogue too – I do like these, a few pages to see who things play out after all the dramas. Well, we’re on to book four now, and each time I think the story looks closer to closing even more happens to open it up. Having finally beaten and rid the world of Goran you’d think Harrow and the team could relax but…not so. Humans and vampires are coming at them from all directions. I’ve lost count of how many attacks on HQ and how many times they’ve had to move. Now it looks like maybe they’ll be changing plans once again, as they are under threat from a former Council member who’s teamed up with Dragos, another power hungry vampire. Ss ever though the mix isn’t that simple. Dragos also has allies in another dangerous vampire group – each of them think they’ve got one over on the other, the former Council member has her own agenda, and there’s Lukan – Shaman….what a shock that was!!! Rohnert’s taken his place heading the Council and is busy bringing it into modern day, trying to protect those who are left, but wondering if Bretania’s betrayal is the only one? He’s busy helping Harrow and the team too, and mourning Shelley – her body still hasn’t been found, not that there’s been time to look for it! I’m still hoping for some kind of miracle bringing her back, I just hate losing the good people. It was sad when Tack died but Shelley, she deserves to be with Rohnert and their baby. I can’t believe she’s just dead and gone, and until her body is found I’ll still have a wishful hope for her. Throw into the mix of attacks, betrayals, double dealings a couple of new child vampires left with Harrow’s team for protection, who of course need to learn about respecting humans. Harrow doesn’t want any humans on his team to become a child fast food snack….McBlood’s for supper??? 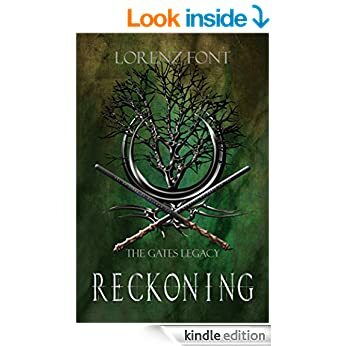 Cyrus and Isadora are still feeling their way around the attraction they have, Cyrus’ obsession is still set on vengeance against Zane, something sets good friends Cyrus and Rohnert at loggerheads, and once again its an all action read. I don’t know how many more episodes before this wraps up but it’s come a long way from the reasonably simple start, and the characters have grown so much. Harrows team still stay very true to Tack’s ideals though, both from wanting to respect his memory and knowing that his way is the only moral way. All these battles though have taken a huge toll on all of them, and I think its reaching a point where their human friends in high places can no longer hide Supernatural action, and its going to break out and cause nightmares and terrors for the human population. Stars: Five, another rollercoaster read.